We’ve been involved in supporting the vtTA (Vermont Technology Alliance) for many years. 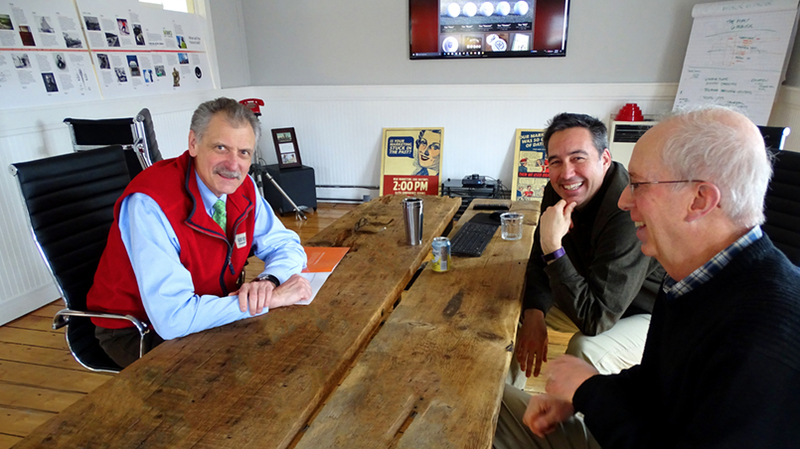 As part of that effort, Matt Dodds and Jeff Couture of the vtTA played host to Tom Torti of the Vermont Chamber of Commerce. On the agenda: sharing what’s going on at the vtTA, including membership progress, upcoming events and initiatives in front of the Legislature (including Independent Contractor legislation, Brand Vermont initiatives etc.). Good progress on a number of fronts after the new governor signaled economic development as the number one priority.